Web Designers Virginia Beach – Small Business Web Design. VISIONEFX is proud to be the web design company of choice for J&S Builders, the sister company of AC Decks. VISIONEFX provides SEO to keep their building/remodeling website in the top Google ranking results across Virginia Beach and Chesapeake for various home remodeling search terms. 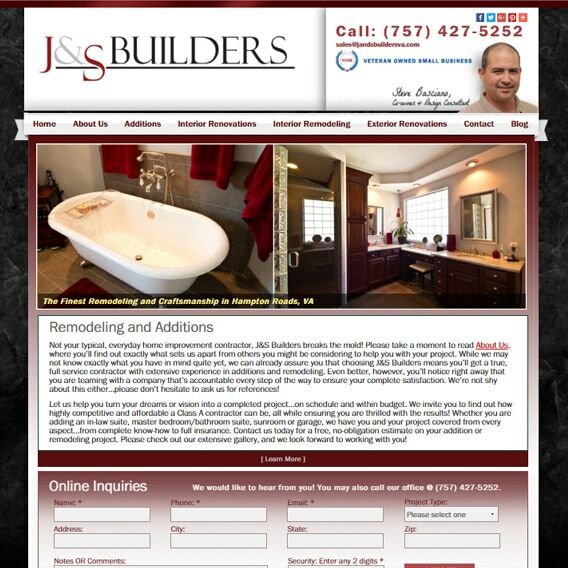 This is the 2nd website redesign for J&S Builders since becoming a web design client many years ago. J & S Builders is part of Affordable Custom Decks company based in Virginia Beach, VA. VISIONEFX provides web design in Virginia to small business and organizations throughout the region. When searching Web Designers Virginia Beach – Small Business Web Design look no further than VISIONEFX for all of your website needs.